Second Punic War, 204 BCE. Consul Publius Cornelius Scipio has landed his small army on the shores of North Africa, intent on conquering the Carthaginian empire. Fighting as a stranger in a strange land, Scipio must depend on his legendary guile and invention to offset his numerical disadvantage against the hordes of warriors that stand in his way. While Scipio battles his way towards the city of Carthage, Hannibal fights his way north towards Rome, determined to destroy it. The two legendary generals race to conquer the other's home bases, with the fate of Western civilization hanging in the balance. Follow along with Scipio, the elegant and witty Laelius, and the fearsome Marcus Silenus as they head towards their history-making conflict with the immortal Hannibal the Great. Martin Tessmer is a retired professor of instructional design and technology. He also worked as a training design consultant to the US Navy and Air Force. 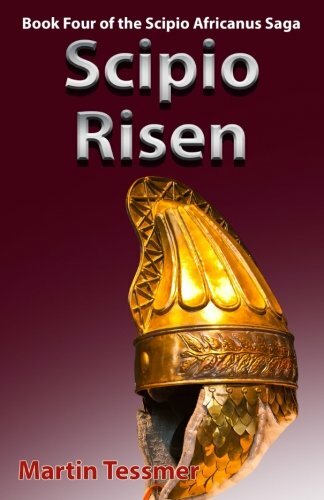 The author of twelve nonfiction and fiction books, his most current endeavor is the Scipio Africanus Saga, which includes Scipio Rising, The Three Generals, and Scipio&#x2019;s Dream.